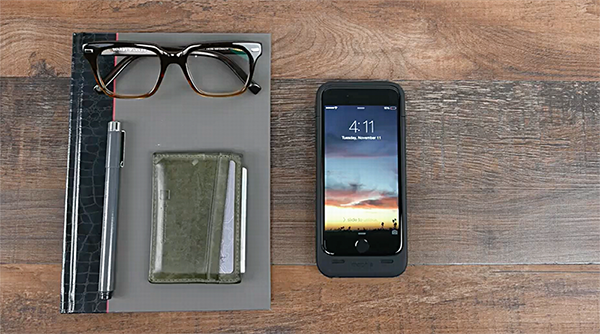 Mophie has announced three new models of its popular Juice Pack for the new iPhone 6 and iPhone 6 Plus today. The battery case maker has released two models for the iPhone 6, and one designed specifically for the larger, iPhone 6 Plus. 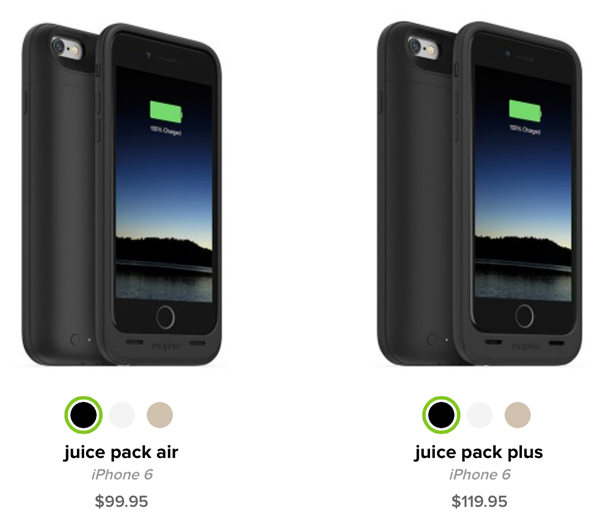 Juice Pack Air and Juice Pack Plus are the already existing lineups of battery cases that Mophie has been producing for the older iPhone models, and has now designed newer versions for the iPhone 6. The iPhone 6 Plus meanwhile receives a one-case-only treatment and gets a regular simple Juice Pack, but who’s complaining right? Here’s a brief look at all three. Carrying a price tag of $99.95, this battery pack – as can be guessed by the name – is the slimmest one for the iPhone 6 and carries the lightest 2,750 mAh battery which is still more than enough to fully charge your smartphone. On the protective / case front, this offering is no different in design compared to the rest of the iPhone 6 and iPhone 6 Plus lineup of Mophie battery cases, and is available in black, white and gold colors to match your smartphone. These colors are consistent for the rest of the iPhone 6 / 6 Plus cases as well. If you want more juice out of your battery pack for your iPhone 6, the Juice Pack Plus carries an additional 120% of charge for your phone with its 3,300 mAh battery, which isn’t really that significant of an increase over the Juice Pack Air. You end up paying around $20 more for that 20% increase in charging availability with a price tag of $119.95. At a 5.5-inch display size, the larger overall dimensions of the iPhone 6 Plus has allowed Apple to push in a higher capacity battery, so much so that Mophie’s effort with the Juice Pack for iPhone 6 Plus comes in with a 2,600 mAh capacity which is good enough for a 60% recharge only, but given the handsome capacity already available with the iPhone 6 Plus, this 60% should go a long way in adding battery longevity to your phone. Oh and all three packs come with a headphone jack extender since the port is covered by the battery case. All of the above mentioned cases are available to pre-order right away. What a ripoff. I paid $17 for a 4800mah battery case for my 6+ that’s is great. Makes the phone last for 2 days strong and even came with a screen protector. I have to say I think it even looks better than these offerings. Bad mophie get your price points together. Think I’ll wait until the next iPhone that (hopefully) will support magnetic charging – without clumsy adaptor(s). Loved my Mophie until it died (RIP) – unfortunate run in with concrete floor.